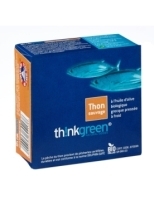 The only tuna worldwidely that is completely free from heavy metals and mercury. High source of Omega 3 fatty acids. 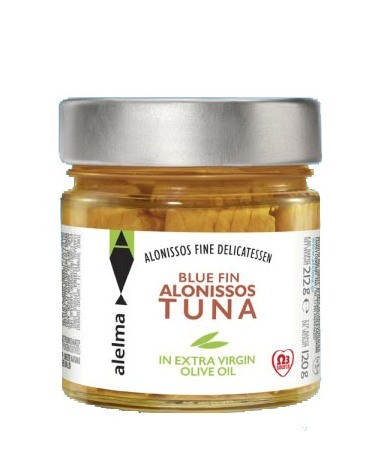 The blue fin tuna is one of the largest fish to be found in the Mediterranean. It is an excellent gourmet choice that can be adapted to any cuisine in countless recipes. 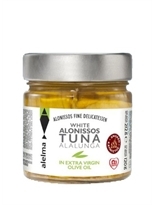 The experience and care of Alelma allow it to select and prepare the finest of blue fin tuna. 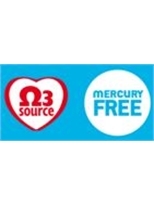 Keep in mind that it is the only tuna worldwidely free of heavy metals and mercury, which makes it ideal for consuming by pregnants and children. 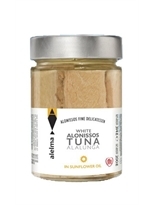 The Alelma seafood flavours workshop was founded in 2007 in Alonissos by Yiorgos Anagnostou, who brought in his long experience in fish trading, and Amalia Kalogianni, who contributed her knowledge of Alonissos tradition in tuna processing. 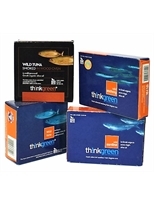 The tuna processing workshop area is fully equipped using the latest technology in seafood processing hygiene. 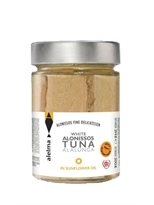 In our workshop we follow the traditional recipe preparing the tuna in water or oil under the strictest modern standards and certifications without the use of preservatives or flavour enhancers.